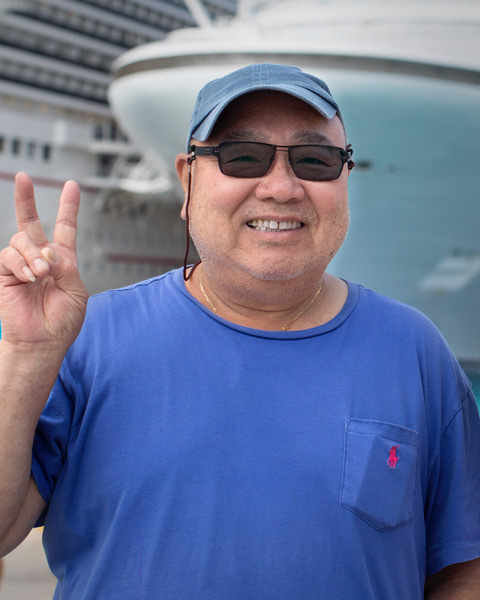 Sam Shih Yuan Lee, loving father, husband, son, brother, uncle and friend, passed away suddenly at home in Raytown on Saturday, May 5, 2018, at the age of 73. Originally from the Republic of China Taiwan, Sam served as a helmsman in the ROC Navy with the rank of Quartermaster of Petty Officer First Class from 1963 to 1976. During his service he developed a life-long love for the sea. After the Navy, he continued sailing while working on commercial freight lines and enjoyed travelling around the world for nearly 10 years. In 1987, Sam immigrated to the United States, venturing first to Virginia where he opened his own restaurant and later settling down in Kansas City devoting his life to his beloved son, Leo Lee. In his youth, Sam particularly enjoyed and excelled at basketball, he played for his high school as well as the Navy fleet teams. He also enjoyed travelling, music, and was passionate about the culinary arts with pairings of the perfect liquor. He had a strong fan base as he drove throughout the community where every door opened to him with heartfelt smiles from his customers. Although quiet, his kind and compassionate demeanor shone through in the way he served the people around him, from cooking meals, to driving people around and keeping a room filled with laughter. Sam is lovingly remembered by his son, Leo Lee; wife, Peng Li Jun; stepson, Peng Deng; sisters and brother, Sharon Lee, Susan Chan, Raymond Lee, Iris Lee and Lynn Lee; along with his nieces, nephews, extended family and friends. Your loving memories will forever be remembered. Rest in Peace!